Maman Emilie is a widow with three children. Her husband died in 2012 and since then she has been struggling to make ends meet. Their sleeping conditions were not good...they were all sleeping on ripped, dirty, old foams on the floor with no sheets or mosquito nets, so we gave them new beds and bedding and mosquito nets as well. She had nowhere to live because her in-laws took the home where she was living with her husband and children. Her brother took her in, but with his own family expenses, he was unable to pay for his nieces' and nephew's schooling and clothing. So, her children were not able to continue their studies without some help. We started by provided what was needed for them all to go to school--supplies, registration fees, sandals, school bags, books, uniforms. Then we bought them a freezer and a cooler and start up ingredients to sell cold drinks. They are now able to have enough each day from this small business. 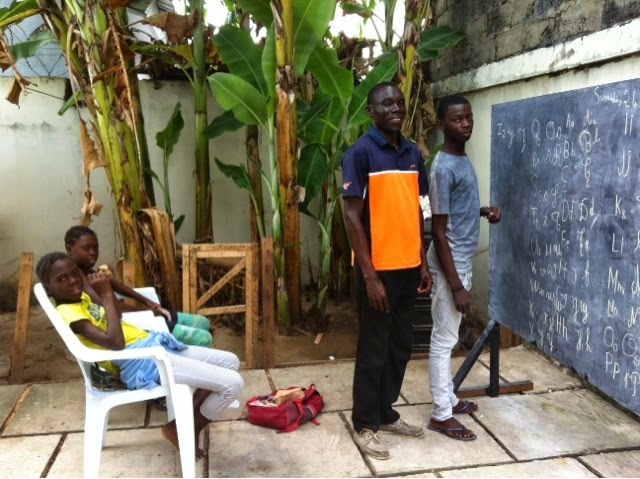 Since April, these teenagers, Jarel, Valdi, Eugenie, and Patricia have been coming for literacy classes six days a week at Cheryl and Lambert’s house, where they meet their tutor. Now they are well taken care of and all their needs are met. They even have their own little business so that they can contribute and feel that they are part of their solution. Jarel is a 19-year old orphan, and the nephew of Maman Emilie. His Mom and Dad died when he was little. He has been neglected by his family members and had no bed to sleep on, no schooling and hardly any healthy food. Since we started helping him, he has clothes, food, a bed, a mosquito net, soap, etc. He has also been learning to read, write and do math in my backyard past few weeks. Jarel is doing well! He comes faithfully every morning from Monday to Saturday with his cousins, Valdi and Eugenie, who lost their father and whose mother, Maman Emilie, is unable to be there for them. Jarel came one morning about two weeks ago in a lot of pain and with strange blisters across his back and chest. He was in so much pain, he was unable to sleep for a week. Cheryl discovered it to be shingles. Thanks to early treatment, it has healed. Cheryl is able to be there for Jarel and his cousins as a mother figure, making sure their needs are all taken care of, and teaching responsibility at the same time. They sell kerosene in the evenings, and every morning they come and bring the money from the sales. The small profit barely puts a dent in the cost to feed them and pay their tutor and everything else, but it is good for them to work, contribute and not just let others take care of them. 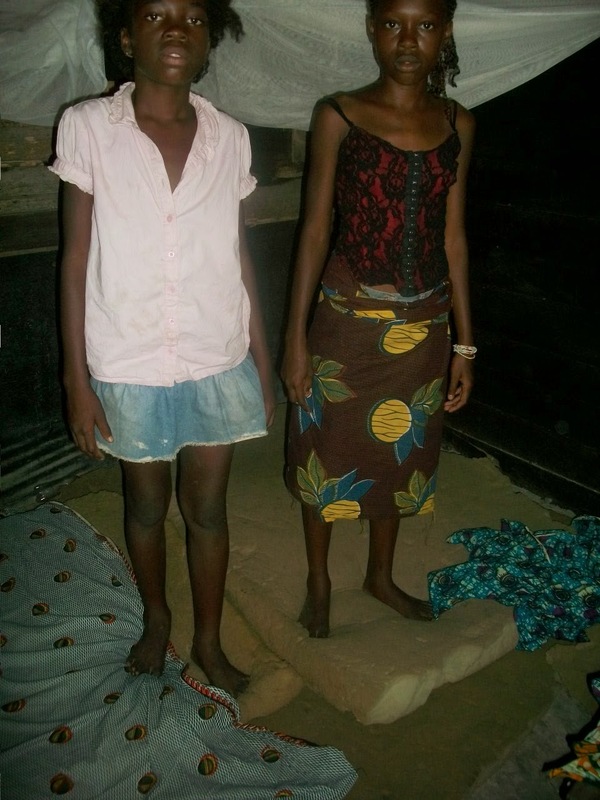 We at Mwana love them and are so glad they have a better life thanks to Mwana Villages' donors.